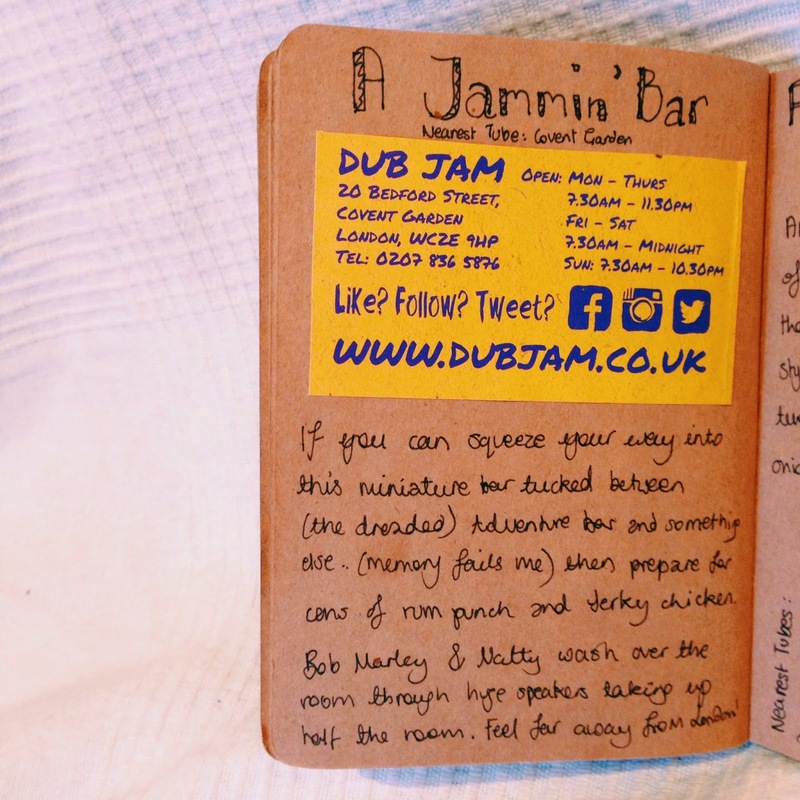 Take a splash of rum, an explosion of colour and a little space between two buildings and here you have Dub Jam. 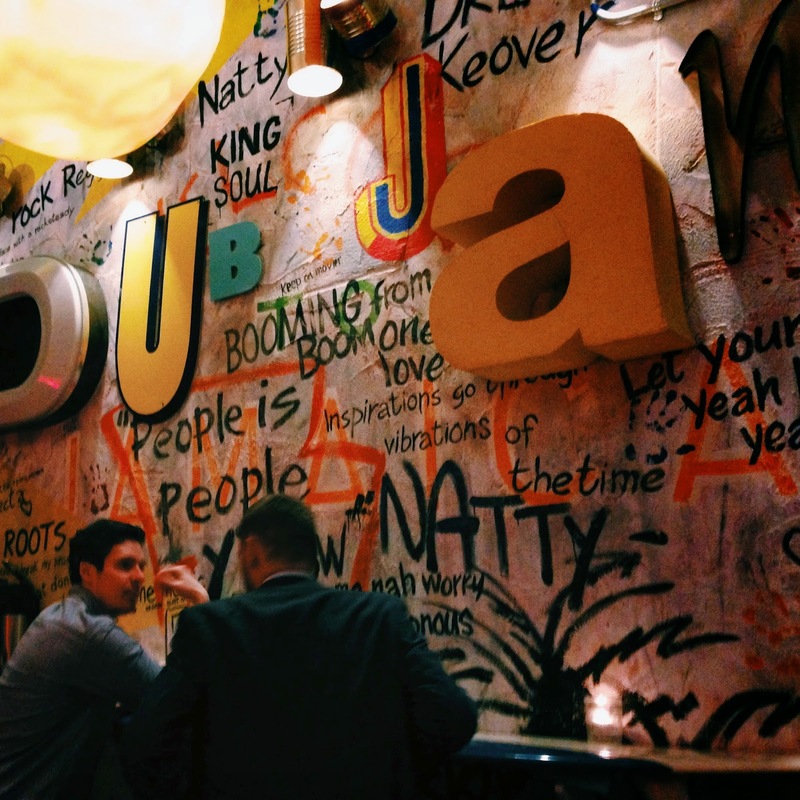 Almost impossibly nestled in Covent Garden lies the latest Jamaican reggae jerk bar. Upon entry, feel your cares drift away and the sounds of London become a distant memory. 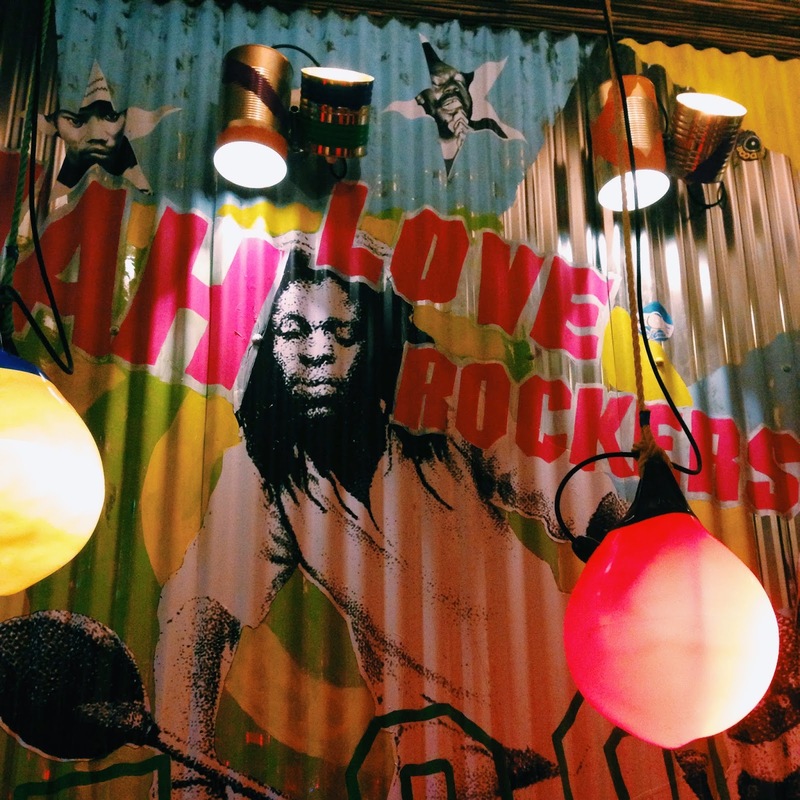 You’re in the Caribbean now so pull up a seat (if you can find one) and bob along to Marley. With only 17 covers and quickly becoming the talk of the town, I’d hurry on over before everyone and their sister finds out about it. We timed our arrival well. At somewhere very close to 6.30 (impeccable time keeping is something one should always strive to achieve), we threw open the door and hopped in. Not quite full to the brim, we managed to nab the last two seats while we awaited the rest of our party. 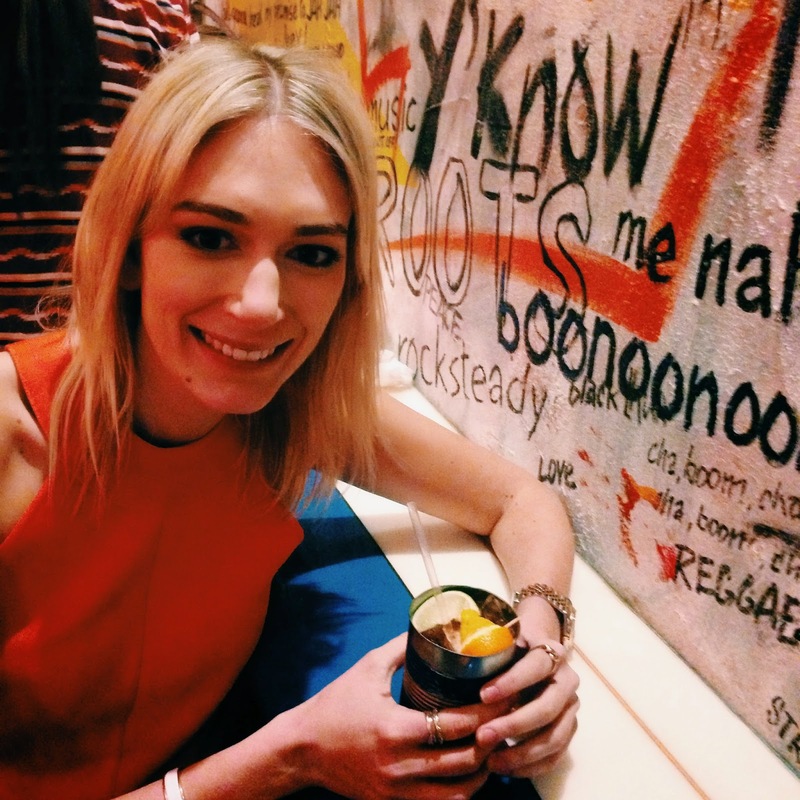 With tins of rum punch in hand, we took in our surroundings with delight. 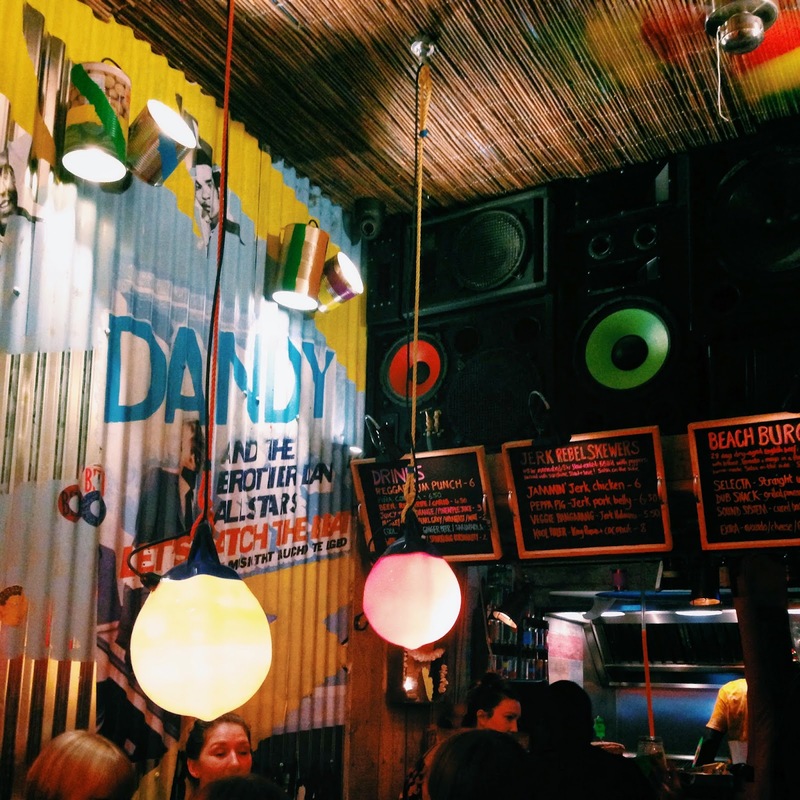 Buoys hanging from the ceiling lit up the multicoloured graffiti scrawled walls and a couple of metres away jerky aromas wafted from the tiny kitchen behind the bar. We were treated to a bit of card trickery by the masterful magician/ waiter/ owner/ manager/ tie-die shirt-wearing dude (delete as appropriate) before we leapt onto the table opposite as soon as its previous occupants had vacated the area. Hawk eyes have nothing on us! 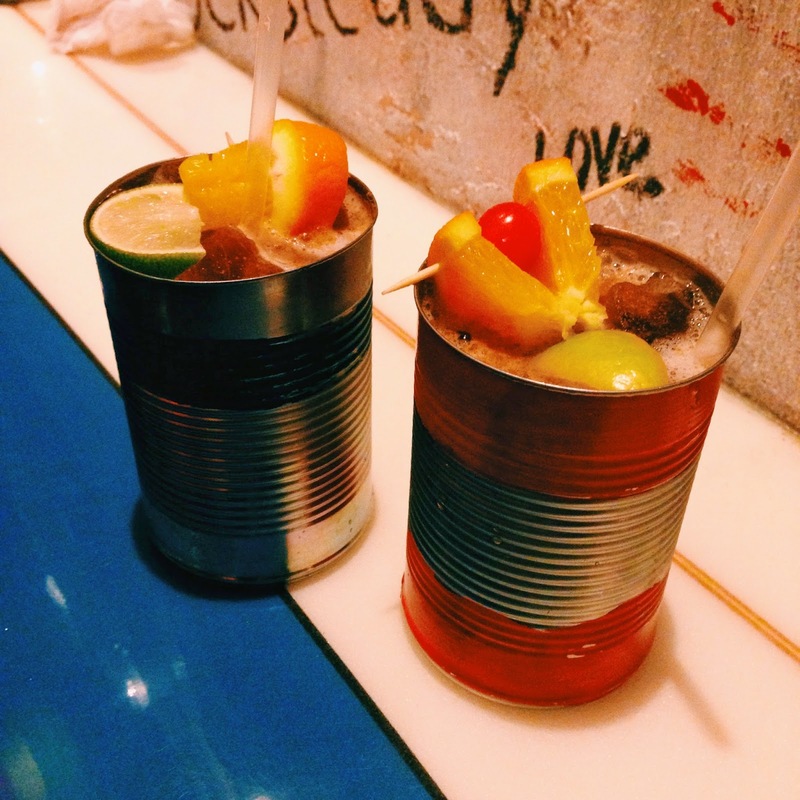 Two became four and we tucked into sweet potato fries, chicken and halloumi skewers and sipped on the fruity rum punch. More fruit than rum, this batch probably wasn’t going to cause us to sway too much and eliminated the ever-upsetting danger of headache filled work the following day. Definitely not a bad thing on a school night. 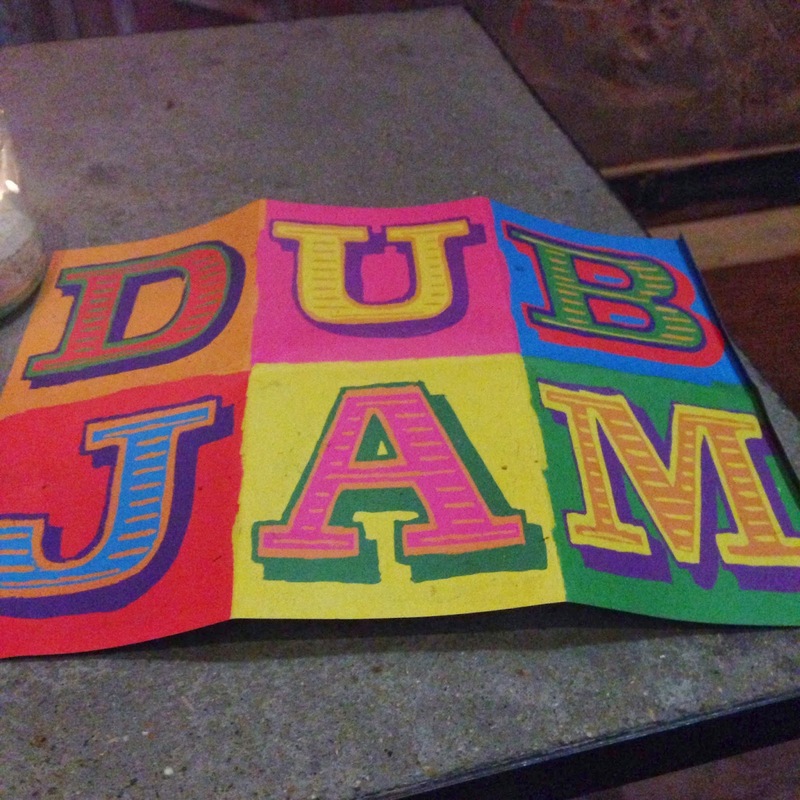 Dub Jam is perfectly chilled out and excellent for when an escape from the crazy that is London is required, so jam on over and taste the vibe for yourself. I'll certainly be back! Wow! This place looks like great fun! 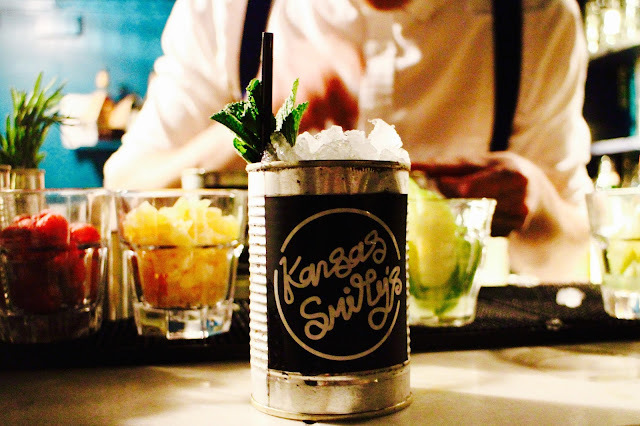 I'm so glad there are so many new places opening in Covent Garden, I'll definitely be trying this one out. I know, so great! Ask for a magic trick when you go .. it really was very entertaining! Ha!! Sounds like fun ! !